True story, I got lost there once for five hours. Finally figured out the pattern was bottom, top, middle. A quiet night on Tatooine. Buddy, George Lucas ripped you off. 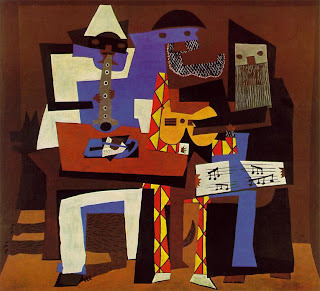 I'd also like to point out that Picasso's name always made me think of Pace Picante. Picasso and salsa, let's make this happen marketing people. I like this one because none of them seem to be pointing at the same thing. Meanwhile the guy in the middle is clearly talking about the size of his fish. Also, with a name like that, I see why people just called him Rembrandt. Dude, seriously, what's with all the swirls? Did you have an inner ear infection or something? Funny! I must be lacking in my art knowledge because I didn't realize that Rembrandt wasn't his last name... Thanks for making me a little smarter. lol Hope you have a good weekend. Educational and funny! I'm definitely on board with the Pablo Picasso Picante Salsa. You posted two of my four favorite paintings. That is a connection on a quantum level. @Stacy, I knew, but only because I watched an old Rembrandt movie years back. @Camel, Now that could be an educational treat! @Kal, Which 2? And what are the other two? Ear infection?! LOL!!! Actually, I am STILL trying to figure out the first one! Come to think of it, all of these paintings remind me of my partying days. Escher- always getting lost on the way to the bathroom before I puke. Picasso- the way I felt when I woke up the next day. 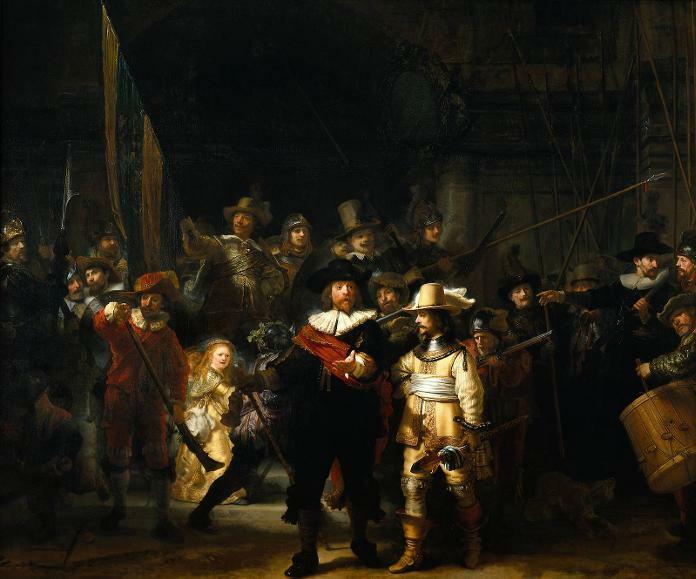 Rembrandt-I am always the girl in the wrong outfit that looks like she doesn't belong and everyone is pointing. van Gogh- Taking something and thinking that I am seeing a starry night, but what I am actually looking at is my ear in the bathroom sink. @Rek, I hadn't thought of vertigo. 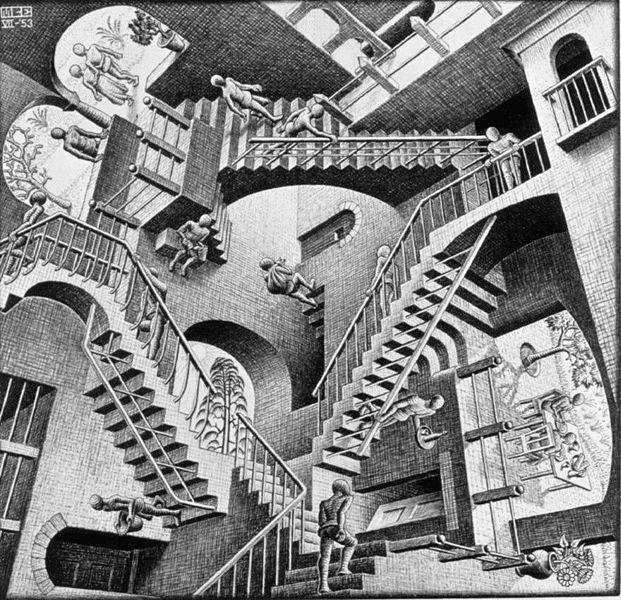 I just like Escher's work. He's crazy in a way I can dig. @Gwen, You cracked me up with that! That is seriously funny. Great post, TS. "Buddy, George Lucas ripped you off." <--Very good! I love and hate ones like the first. 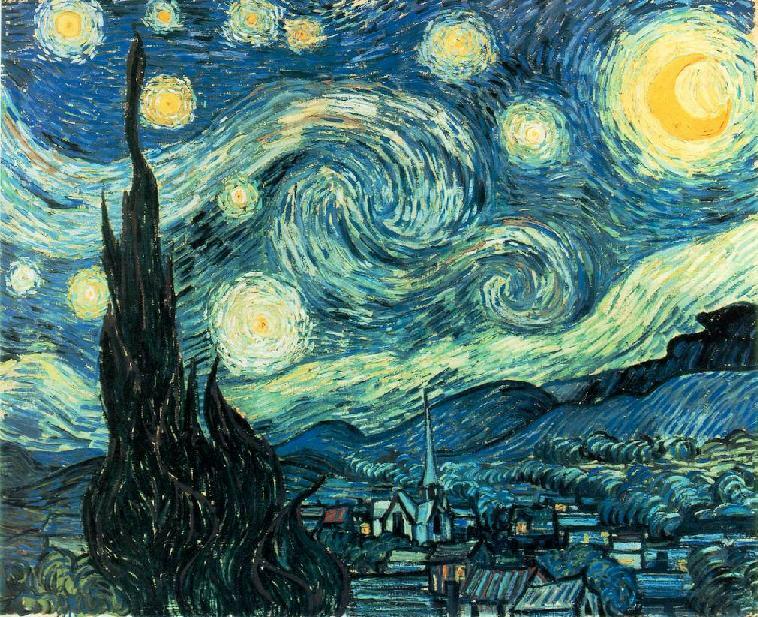 Your Vincent van Gogh comment made me laugh out loud. I love your snarky art reviews. I'm aware that that makes me creepy, but I assure you that I'm not about to stalk you on Google maps. I guess I'll just have to settle for following you manually. Loved the Picasso and Escher quips. I have that Escher and have always used it for deep thoughts (when Jack wasn't Handy). One of my favorites is the Dali - The Persistence Of Memory. Anything that bends time is cool with me! love the new segment and if it's not new then I missed the others. Awesome post. Also I too didn't realize Rembrandt wasn't the last name ... whoops.